Last night’s Heavy Rotation Records Epic Event was dedicated to bassist Devin Caucci, a recent Berklee graduate who died unexpectedly in January. 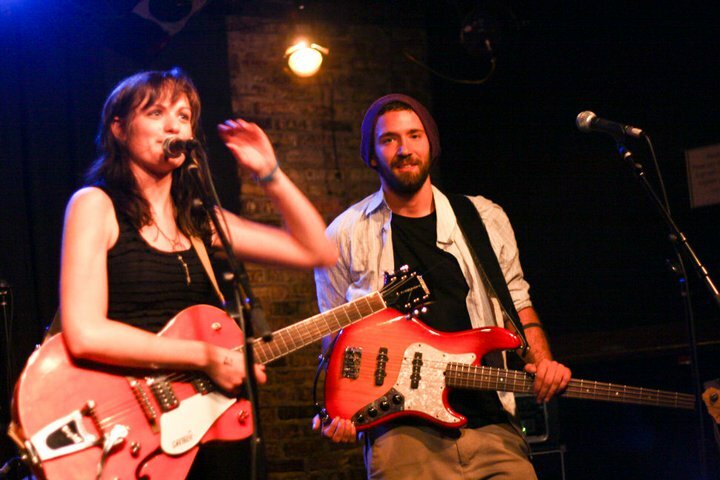 His bandmate Ann Driscoll ’10 wrote this blog post in memoriam. Ann Driscoll and Devin "Dabbo" Caucci performing at Boston's Great Scott club in the summer of 2010. I am shocked by the tragic death of my friend and musical colleague, Devin “Dabbo” Caucci. This week has been terrible in the lives of those who knew him as a a family member and friend. My heart goes out to his mother Florence and his brother Anthony, as well as Justin, our friend, the guitar player in our band, and Dabbo’s former roommate. Over the past week, Justin has absorbed immense trauma with strength, maturity, and so much grace. Thoughts also go out to Heston and Gabe, his other roommates, and everyone who knew and loved him. Read more on Ann’s blog.